HomeKanchanaburiPokémon Go! Catching trip in Kanchanaburi! Pokémon Go! Catching trip in Kanchanaburi! Are you just visiting thailand? Want to travel around and want to catch Pokémon at the same time?! I will take you to travel and catch 'em all! Come with me and you'll know more about world war history and catch wild and rare Pokémon!! At Kanchanaburi, have breakfast, talk about WW2 and River Kwai bridge. Catch Pokemon!! At Krasae Cave, The Death railway. Have launch and Catch Pokemon with history. Relax Time! visit Saiyoknoi Waterfall or catch wild pokemon around it. Send you back to hotel with full of happiness and memories! 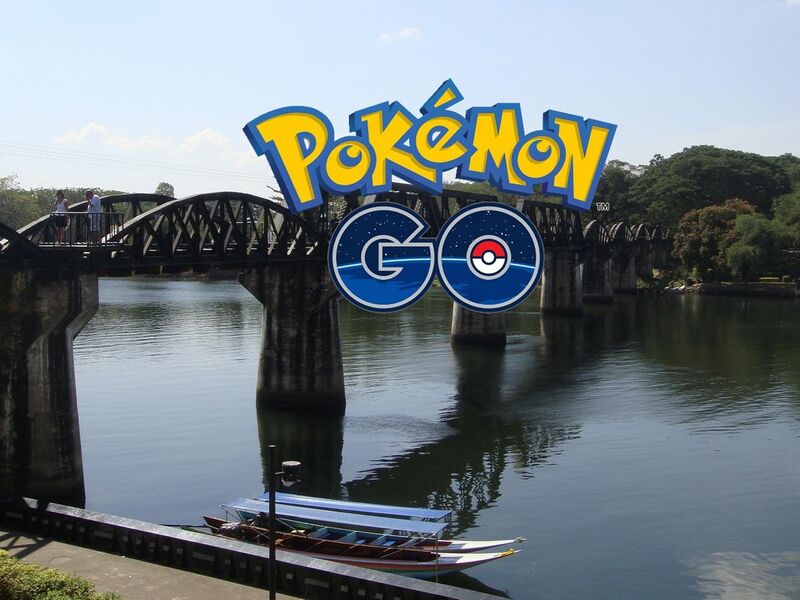 You visit thailand want to travel and play Pokemon at the same time? Choose me! Pokemon trainer gamer and local expert. The Death railway is very best landmark in Thailand Must visit!! Pokemon Go is very in-trend game Must play!! Play game & Travel in 1 Trip. Like none of other trips ever - Play game & Travel in one trip with local expert in history and gamer. Free Wifi, Free Internet, Free Charger, Free Soft Drink (Coke/Pepsi etc), Free Food, Free Thai local Fruit And Free Lure model for Pokemon Trainer!